Formula 605 helps regulate sleep patterns. We combine melatonin for its sleep regulating effects with other essential nutrients such as inositol, choline, and lecithin, for optimum mental performance. Choline functions with inositol as a basic part of lecithin and have been shown to be beneficial for insomnia. 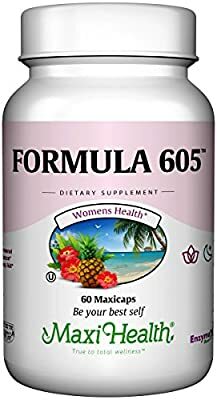 Get the help you need naturally with Formula 605. These statements have not been evaluated by the Food and Drug Administration. This product is not intended to diagnose, treat, cure, or prevent any diseases.